Preheat oven to 200C/180C fan-forced. Grease a 3cm-deep, 23cm (base) round loose-based fluted flan tin. Line tin with pastry. Trim excess. Refrigerate for 20 minutes. Place tin on a baking tray. Line pastry case with baking paper. Fill with ceramic pie weights or uncooked rice. Bake for 10 to 12 minutes or until edges are light golden. Remove weights or rice and paper. Bake for 5 to 7 minutes or until light golden. Set aside to cool. Reduce oven to 180°C/160°C fan-forced. Place sugar and 1/4 cup cold water in a saucepan over low heat. Cook, stirring, until sugar has dissolved. Increase heat to medium. Cook, without stirring, brushing down sides of pan occasionally with a wet pastry brush, for 5 to 7 minutes or until deep golden. Add cream, butter and vanilla. Increase heat to medium. Cook, stirring, for 5 minutes or until thickened. Set aside for 15 minutes to cool. Add eggs. Stir to combine. 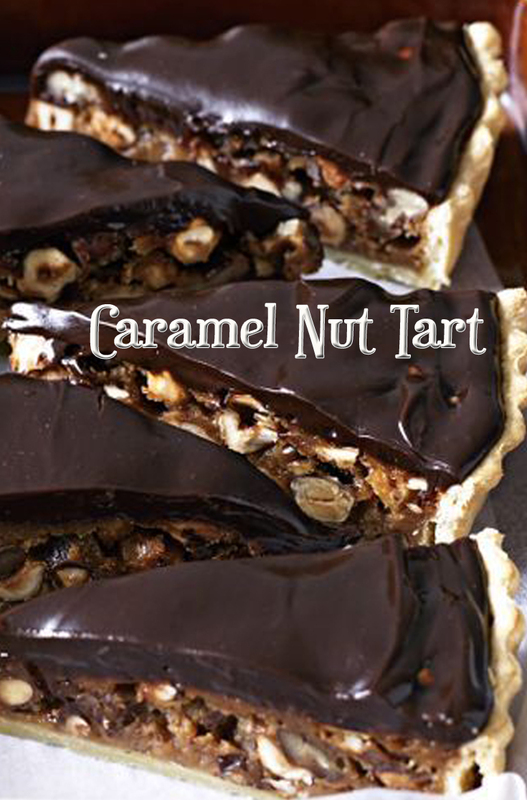 Place nuts in pastry case. Pour caramel mixture over nuts. Bake for 25 to 30 minutes or until just set. Set aside to cool. Refrigerate overnight. Make chocolate topping: Place chocolate and cream in a saucepan over low heat. Cook, stirring, for 3 to 4 minutes or until smooth. Spread over top of tart. Refrigerate for 10 minutes or until set. Serve.